Guardian angels are real… And today, I’m going to share with you seven signs your guardian angel is with you and watching over you! So yes, you absolutely without a doubt have a guardian angel. Every human being who incarnates onto this planet has a being from the angelic hierarchy who steps forward to guide protect, assist and support you in your life… That being from the angelic realm who steps forward is your guardian angel. They know everything about you, and they’ve been with you your entire life! They know your strengths, weaknesses, successes, and biggest failures. They know where you’re acting in alignment with your highest truth, and where you’ve gotten off course… And despite knowing everything about you – they still love and support you unconditionally! Protecting you, holding your highest divine blueprint for what is possible for your life as a spiritual being incarnate in the physical, guiding you in the direction of your highest calling and authenticity, and creating synchronicities, coincidences and opportunities in your life to help keep you in alignment with your highest course. 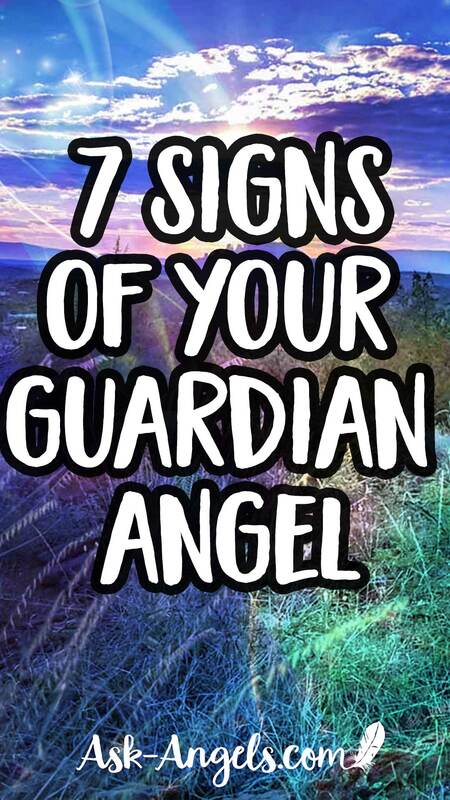 So now that we got that cleared up… Here are the seven signs your guardian angel is absolutely with you and supporting you. The first sign of your guardian angel is that you begin to feel a warmth and light and peace in your heart and in the central core of your being. The reason that this is a sign of angels is kind of twofold. First, it's because this warmth and light is a clear indication that your guardian angel is with you. And secondly, as you open in awaken your heart center, your heart naturally begins to glow with more warmth and light. As you awaken your heart center and as you awaken your divine I Am Core, and the truth and brilliance of light within you, that empowers your direct connection with the Divine. This is what also opens your subtle psychic senses so that you can perceive your guardian angel. So the feeling of warmth in your heart and in your core is a direct sign of your guardian angel. But it's also a sign that you're opening more to perceive and receive the guidance, insight and support of your guardian angel that's available to you. The second sign of your guardian angel is a feeling of warmth, light, and protection that's all around you. So this may unfold through your simply getting the sense that you're protected and you're supported. Or you may actually begin to feel the warm gentle light of the angels that's around you. You might feel a warm light surrounding you like a blanket, or maybe a soft sense of light pressing on your shoulder in times when you need comfort. Or, this feeling could come in the form of a tingling sensation that washes over you when you invite your guardian angel in. However, this feeling that your guardian angel is with you unfolds for you… The feeling of warmth, of light, and of protection is absolutely a sign that they very much are. Our third sign is actually beginning to see light around you. This could happen with your eyes open where you start seeing sparkles of light or flashes of light, often through your prereferral vision, which is where the veil between dimensions breaks… And so through your peripheral vision, you're able to see through the dimensions, to see the sparkles or flashes or colors of light that signify the presence of angels around you. Also, when you close your eyes during meditation, and you're focusing within and looking up, you may see a golden light. Know that yes, this is a sign of your guardian angel. The fourth sign that your guardian angel is very much with you, watching over you, and actually connecting with you, is that you begin to receive strong, intuitive nudges guiding you in your life. When these nudges inspire you to create positive changes in your experience, to comfort you in times of challenge, and to encourage you to step up and go for it in terms of manifesting your dreams and goals by taking action to improve your life situation… You can literally take this as a sign that your guardian angel is supporting you. 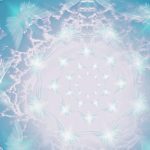 Know that until you open your senses of subtle psychic perception, your guardian angel will connect with you in a way that's very subtle and that you often will mistake as your own internal voice. Your angels reach out to you through your subconscious mind when your conscious mind is not open to a direct connection. So when intuition arises with you, and it's supportive, and it's helpful, and it's empowering, that is the sign that your guardian angel is with you. The fifth sign of your guardian angels’ presence is that your senses become heightened when they’re connecting with you. At the moment when your guardian angel is reaching out to you with guidance, you may suddenly be much more aware of your surroundings. Observing the feeling of the temperature around you, the taste in your mouth, the smell in the air, your visual observation is on point and you're hearing becomes more acute. Go with this, relax, but pay attention to all your senses. Let yourself become fully aware in that moment, and know that with present moment awareness, when you're observing your surroundings without judgment and without engaging with the spiral of the ego monkey mind you're able to simply be aware, to observe. And through this, to receive more of the intuitive nudges, more of the direct guidance and meaningful insight from your angels that is available. The sixth sign that your guardian angels are watching over you is that you're seeing and receiving signs and symbols that are meaningful to you. So this could be finding feathers, which is an incredibly common sign of the angels, seeing angel numbers, finding pennies or really finding anything that's meaningful to you in that moment. Or maybe butterflies just symbolize transformation to you, and so your angels align butterflies on your path to guide you. These meaningful signs could also take the form of birds, crystals, flowers, stars, the word angel in the name of a shop, or really anything … The key here is that there's some sign or symbol that appears to you in the physical, in the external… And when you see it, it’s validating, comforting, it reinforces an idea, reinforces your intuition and helps you to feel loved. 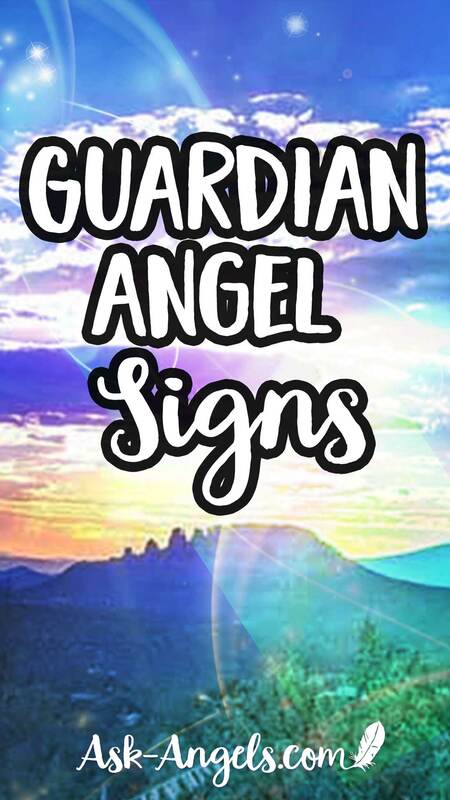 When a sign you receive is meaningful to you in some way… Trust that that is very much a sign of the love, guidance, protection support of your guardian angel. This brings us to our seventh sign that you absolutely have guardian angels with you… And that is that you start receiving meaningful reminders. You know those things in your life that you know would be good, empowering and supportive for you… But are easy to get put on the back burner? Know that your guardian angel has a way of bringing these things up again. And so when you're reminded of things that are for your highest and greatest good, when you're reminded that you're loved… Those reminders have angelic energy all over them. These meaningful reminders could come in the form of the external through something you see or experience, or find that reminds you of something you know you should be doing or that simply reminds you that you're loved. Or you may simply receive internal reminders through intuitive promptings that remind you to return to love … Reminding to meditate, or those internal nudges reminding you and guiding you to get back on course. When you receive these positive reminders, they are a sign that your guardian angel is with you , watching over you, and yes guiding you back on course and back into alignment with the highest possibilities for your life. The more your subtle psychic senses open, and the more you're able to directly receive guidance, in addition to the meaningful reminders, nudges, intuitive promptings, and angelic signs that are already happening for you and reminding you that your angels are with you, supporting you, and loving you, despite whatever choices you are making. Yes, your guardian angels want you to choose what's in alignment with the highest interest of all and in alignment with your highest good, but they love you regardless, unconditionally. Through awareness and presence, you are able to become more aware of angelic energy and guidance in your life. I hope these signs are helpful for you. Comment below and let me know which of these you have experienced! Ask Your Angels For Help! Angel Signs and Symbols ~ 13 Signs Your Angels Are With You! I’ve been on a spiritual journey for many years now. The signs you mentioned are definitely those I’ve found occurring in my own experience. I’ve also discovered how important it is to make the spiritual a priority. When life gets hectic and I neglect my meditation or am just not open to the spiritual, the glowing feeling and signs become less frequent. Thank you for your writings. Blessings to you! This is very helpful and meaningful. Thank you. And, you’ve added more material on finding pennies and dimes something I do often, I will use this on the weekend. I seen an angel appear the other day look exactly like that but I didn’t see any wings! I am a cashier and I have experienced situations when the customers total is say $11.11 then the next customers total is $7.77. I recognize the number sequences and think to myself : wouldnt it be fun if the next customers total was something like $45.67. Imagine my excitement when liturally the next customers total was something just like that!! since I started noticing these number sequences they have been a fun little thing that lets me know even just to say hi and have a little fun, my Angels are with me. Thanks 4 the information. Everything was very helpful. Thank you, Melanie, for your information. Yes, all seven have happened to me. Last night, around 4:34 I woke up like I do other nights at exactly the same time on the clock. I was not completely awake when suddenly I saw in front of my face, a blue outlined silhouette of the face of a young male with long hair over a light gray background. His facial features were alive and were emanating a calm and peaceful sensation. I thought he could be an angel? I’m always seeing flashes of lights as well as the Angel numbers. I can see flashes of gold and light like flashes of lightning. When I see butterflies I know that I’m surrounded by Guardian Angels as well. Another way that I know when Angels are present, they make their presence known in the clouds by making like feathery wings in the sky. I find pennies all the time. How can I know or find out what that means? My Spirit Guide is named Kirsten and she pinches me when I’m moving off course! I have seen all those 7 signs. I like your guidance into angelic reading. It has helped me a lot. Alot of times I find pennies, dimes and I also experience light fluttering in my peripheral vision. I recently lost my Mom about 5 months ago and I am always looking for signs of her spirit around me. The day I went to lawyer for her will there was a feather on the stairs to the door of the office. I often get phone calls with no person on the end of line. She has a music box that suddenly started playing and the musical song “Till the end of time”. This is in her bedroom night table and I haven’t wound it up for 30 years. Thanks you for what you do. I appreciate you sharing with us things that help us grow. Sometimes at random, I see white flashes… spots of white light flickering like sun spots or starbursts. I thought it was something wrong with my eyes that I couldn’t just refocus for the moment! Its never different colors, just white/silver sparks. I especially love when I am working on a client, when we are complete strangers, and I am blessed with genuine intuition about them that they know I couldn’t possibly know! I sometimes feel a warm cuddly hug when I am on track, comforting someone who is emotionally stressed.